This book explores how people perceive their abilities and opportunities to read and write successfully when they perform literate identities. The perception of agency, not just whether a person is able to read and write but whether she or he perceives and feels able to read and write in a given context, is crucial in terms of how people respond to writing situations. Though some may consider agency difficult to define, it is a goal often articulated in research, on course syllabi, and in learning outcomes. It is important to investigate how individuals perceive agency, and what factors they regard as enabling or constraining their actions. At any moment there are many factors shaping agency and literate identities from social forces – history, material conditions, institutions, social roles, semiotics – to internal conditions – motivation, emotion, narrative, and memory. This book draws on interviews and observations with students in several countries to explore the intersections of the social and personal in regard to how, but also crucially why, people engage successfully or struggle painfully in literacy practices. If we can identify such patterns and moments we can, as teachers and researchers, rethink our approaches to teaching as well as intervene in the learning of individual students to help facilitate a sense of agency as writers and readers. I believe that rhetoric and composition faculty and programs can play a role in the conceiving of the future of the university that is both disruptive to corporate structures and standardization and more focused on learning and exploration. What’s more I maintain that such a role need not be limited to issues of writing pedagogy, but can address broader concerns of the nature of learning and the structure of the institution. Using the example of Writing Centers, which have grown to more than 1,400 in the U.S. in the last forty years, I am interested in how such programs, which often maintain significantly different visions of pedagogy as well as different political and institutional presences, can offer the possibilities for creating change in the larger university. I am drawing on Victor Friedman’s (2011) concept of “enclaves” to discuss how Writing Centers can draw on their pedagogical and participatory values and practices to work as agents of institutional change in universities. 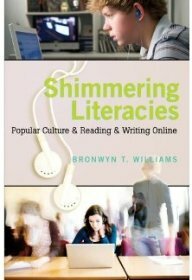 Both the approaches to teaching writing, as well as efforts to create a culture of writing and participation at the university, can generate a different conversation about literacy and education in university settings increasingly driven by ideologies of standardized assessment and commodification. I am involved with an international citizen science initiative focused on helping middle school students from around the world to develop a greater understanding of the local and global impacts of climate change. The goal of the project, which involves middle-school students from Norway, England, Israel, South Africa, the Philippines, and the US, is to work with students to investigate the physical, economic, social, cultural, and political impacts of climate change in their own communities and sharing their insights with students in other countries. The project, initiated by Mary Brydon-Miller, involves researchers and teachers from schools from all of these countries. We hope that, through exploring climate change locally and then talking about it globally, the students may develop understanding and empathy about these issues that encourages them to think about how best to act to respond to climate change. My role in the project to help the students explore both the cultural aspects of climate change and the rhetorical approaches for reading and writing about these issues. In much of the discourse about climate change, proponents of climate change education argue that the key to persuading students of the need to address human-created climate change is to provide them with more convincing science-based facts. Yet, as Candis Callison demonstrates in her book How Climate Change Comes to Matter, scientific evidence by itself is not enough to shape understandings of climate change. Instead, local cultural perceptions of both science and traditions of authority are crucial to how communities understand and respond to these issues. It’s crucial then to help students explore how local, contextual epistemological values can be understood, and addressed, through rhetorical theories of how publics and conceptions of authority are constructed. We hope to engage them in activities, such as comparisons of media coverage of climate change or interviews with family and community members, that allow them to examine how science is perceived in their local community and what sources and figures are regarded as authoritative. Teaching students about climate change must help students recognize and balance global and local understanding of science and its role in specific communities. The more students are aware of how cultural contexts shape their perceptions of science their more able they will be to identify and negotiate potential tensions they might encounter. We are currently engaged in a pilot grant for the project at a middle school in Louisville, and working on finding funding for the larger project.